I have another card today featuring the Hello Lovely stamp set and new In Colors. 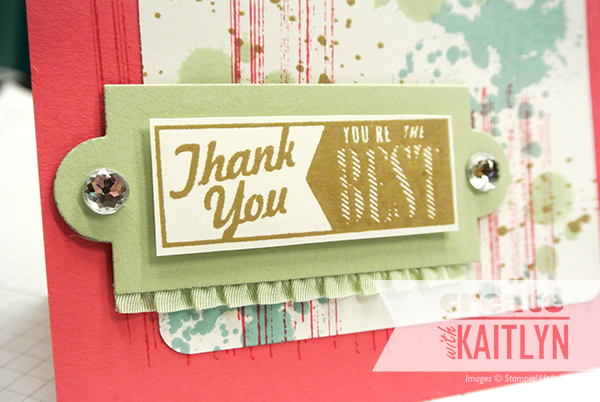 This card also uses the awesome Gorgeous Grunge stamp set! 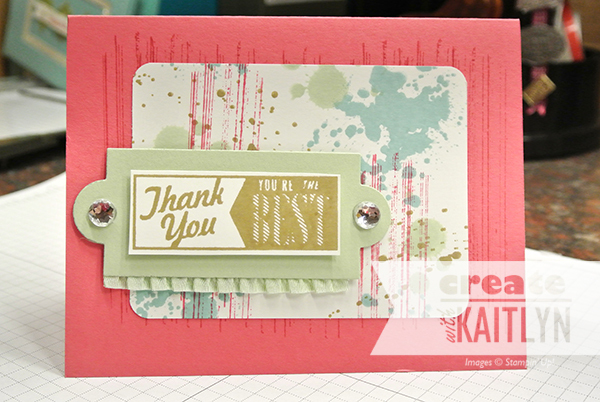 Gorgeous Grunge can either provide a simple accent or a fun background, like on this card. All I did was stamp on my Whisper White CS until I liked it. Simple, easy, and fun! The Pistachio Pudding shape is cut from the Apothecary Accents Framelit Dies. The ruffled ribbon and Extra-Large Rhinestone Jewels are the perfect touches to finish this card!